Sorry for the long silence. Fell ill last week and ended up in hospital for four days. It's my first stay at Changi General Hospital and I can tell you for sure now that food is not their forte (yes, all hospital food tends to be unpalatable, but some are better than others). Otherwise it can be a more pleasant experience than at other hospitals. Staff here are not so harried and stressed - many seem quite happy and always greet each other with friendly smiles and banter. 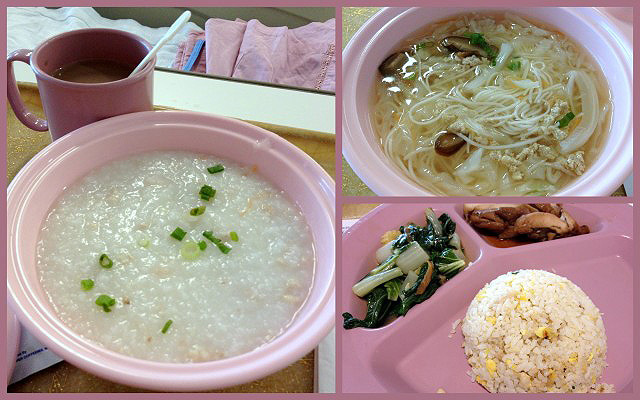 I don't know why Chinese meals in hospitals always seem more bland. But it was the xiaobaichye (O most hated veg of mine) that made me switch to the Muslim meal. 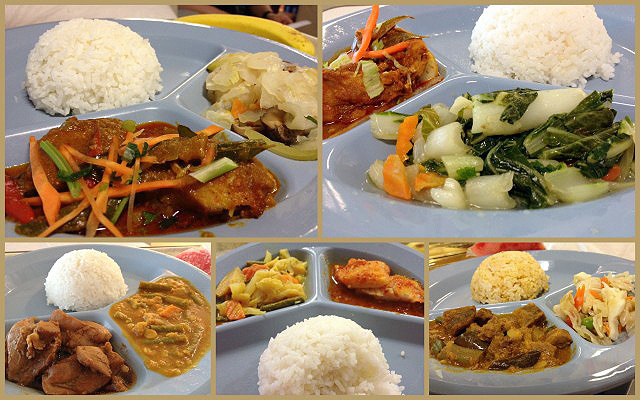 Fortunately, the Muslim meals are more of a treat for the eyes and palate. Spicy, salty, and with more complex flavours. I thanked the heavens when I got mutton curry one night! But the dreaded xiaobaichye still landed on my platter - seems they do the same veg for both types of meals. What was quite funny was this time when they ran out of my size for the hospital pants. So I had to make do with Jumbo-sized pants, which is one up from XL. I thought OK, how bad can it be? I was so incredulous I had to take a shot with my iPhone. And even that (especially fitting the entire garment within the camera frame) proved to be quite a challenge! See my thumb on the upper right for comparison. But wait, that's not all - this isn't their biggest! 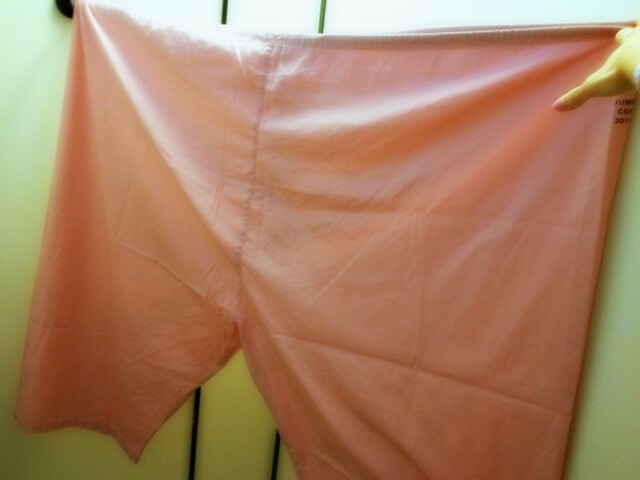 I'd spied "Super Jumbo" sized pants in their laundry stock! Someone said I look strangely fashionable when this was all tightened up and pleated around me like MC Hammer pants. Right, I'm sure just missing the shades. Anyways, am glad to be back home. The Sydney posts will resume after this! And, yes, I know I have unfinished posts from Taiwan, Okinawa, the Philippines and Hong Kong. All in due time! I'm glad to hear you are back home again! Hope you are ok! Cheers! Glad to know u are okay.